Let's get started learning about atrial fibrillation by starting with the section below for anyone interested in learning about afib. If you're an afib patient, family member, or caregiver, then continue on to the lower section as well. To learn more about afib, check out the pages below. To share this information with others, click on the Email link at the bottom of the page. To print a page without headings and menus, click on Print at the bottom of that page. To learn more, sign up for our e-mail newsletter. You'll receive alerts when a news story is added to StopAfib.org. Just go to the Newsletter Sign Up box at the top of any page. You can unsubscribe at any time using the link at the bottom of each newsletter. If you have atrial fibrillation, or think that you might, or a family member has it, you're probably wondering what to do. We understand what you are going through and what you are feeling. We've been there, too. Our goal is to provide you with information and perspectives about living with atrial fibrillation, and to help you find an atrial fibrillation treatment or cure. We're patients and caregivers helping other patients and caregivers, and are here to help you overcome your atrial fibrillation. You are not alone. So where do you start? 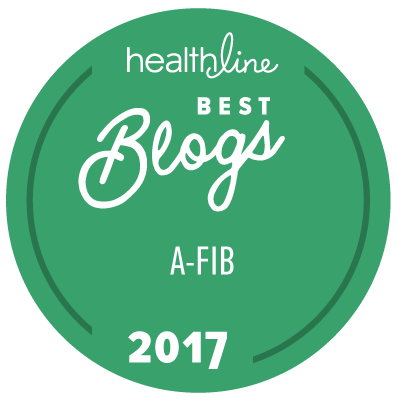 After checking out all of the pages in the section above for anyone interested in learning about atrial fibrillation, please check out the additional pages below to learn about managing and treating afib. News and events — news, events, audios, and video interviews with top afib doctors. This part of the site contains a wealth of information. If you sign up for the newsletter, it will alert you to new stories here. Can Avoiding Dehydration Prevent Atrial Fibrillation "Holiday Heart Syndrome"? The information above is all based on factual medical research and information, but there needs to be a place for those suffering with atrial fibrillation to share opinions and experiences. The Atrial Fibrillation Blog is just such a place. Below are some of the most popular topics. Please share your experiences there, too. Also check out the StopAfib Atrial Fibrillation Community, where you can pose questions and discuss concerns about afib with others worldwide, or just in your local area. Finally, follow us on these social media sites for news, information, opinions, and some fun stuff, too.